Even if you’re a Patriots fan, you should be able to appreciate this. The Cleveland Browns have now won TWO games this season, and it’s a big deal. 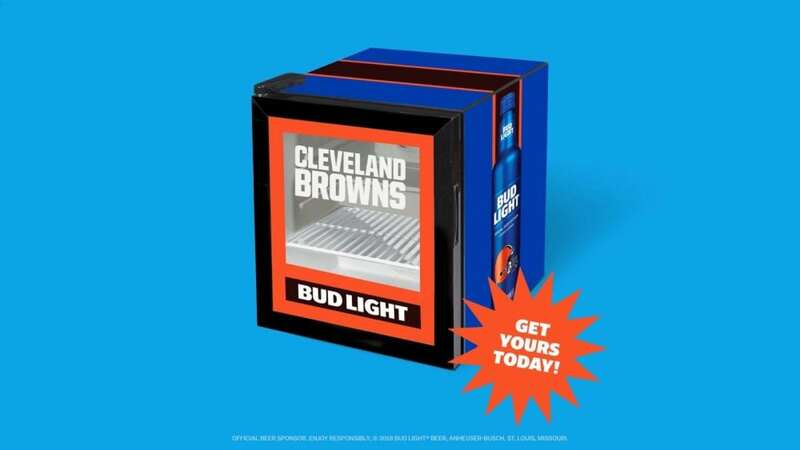 If you remember, earlier this season, Bud Light was running a promotion that gave away free beer from “Victory Fridges” around Cleveland if the Browns won a game this year. Well, they did, and thus the Bud Light was distributed. Now, to celebrate even more, Bud Light is selling a smaller version of the victory fridge. But don’t be in a hurry to get one, they sold out quickly. Not to worry though, they are re-stocking them, so you can still put in an order for one. So, for $200, even if you’re not a huge Browns fan, you’ve got to admit, one of these would still look pretty cool in the man cave.